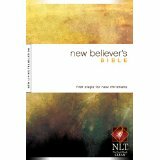 The New Believer’s Bible (New Living Translation) is an invaluable first steps, spiritual tool for those just coming to Christ. This Bible offers specialized reading tracks for growing in our saving faith like Cornerstones, First Steps, How you can know God, Off and Running, and Big Questions. There’s a glossary of Christian terms and a one-year New Testament reading plan; but, what’s so radical about this Bible translation is that it’s written for new followers of the Way in a comprehensible manner. Without a doubt, this makes for a good foundation to build on in our walk with the Living Triune God in the years ahead on earth before the coming Tribulation. An excellent companion reference is “Christianity for Dummies” (ISBN 978-0-7645-4482-8). The Leadership Bible (New International Version) clearly and concisely communicates the servant leadership principles from God’s Written Word. 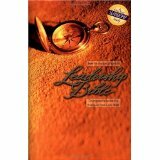 This Bible contains three different servant leadership principles reading tracks: personal development, relationships, and skills. These three tracks are further explained through two-week in-depth study tracks that elaborate on accountability, character, dependence on God, humility, obedience to God, self-discipline, Biblical conflict management, encouragement, and interpersonal relationships. All these, and more, contents are necessary tools for effective communicators on earth before the coming Tribulation. An excellent companion reference is “With the Word: the Chapter-by-Chapter Bible Handbook” (ISBN 0-8407-9213-1). 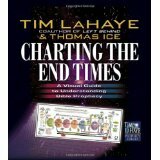 “Charting the End Times: a Visual Guide to Understanding Bible Prophecy” is the most comprehensive and concise in-depth yet easy-to-read guide available for post-modern readers. 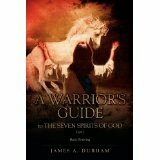 This book concisely breaks down and communicates the visions of future events that the Triune God of the Bible revealed to the Old Testament prophets like Daniel and Ezekiel. Especially with respect to explaining prophecies pertaining to the coming seven-year Tribulation on earth, this book is complete and contains all the necessary charts and diagrams to complement the author’s chapters. Furthermore, from the New Testament Paul’s prophetic revelations and John’s visions of world events about to happen are laid out according to Scripture for the reader’s full inspection. An excellent companion reference guide is “The Rapture” (ISBN 0-553-26692-6). “What on Earth is God doing? 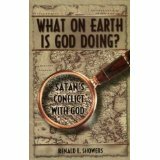 Satan’s conflict with God” should be required reading for every lost soul on earth. This book straight-forwardly chronicles world history in the most truthful manner possible while answering, according to the Bible, mankind’s three major questions: where have we come from? why are we here? where are we going? In particular, this revelatory history book breaks down the centuries-old conflict on earth satan has with the One True Triune God of the Bible since eternity past in heaven. The reader learns how this spiritual conflict led by a defeated and humiliated rebellious former arch-angel plays out in world history through nations as mankind is rushing forward blindly towards the coming seven-years of Tribulation. An excellent companion guide is “What the World is Coming to” (ISBN 0-89337-007-X). An excellent companion guide is “Purging your House, Pruning your Family Tree: How to rid your home and family of demonic influence and generational oppression” (978-1-61638-265-0).